A disturbing video has surfaced of a child playing in a room where a doll appears to be tilting its head to the side of its own accord. The CCTV footage was reportedly posted by a worried father who had installed the cameras after his daughter complained of ‘something bothering her’. The second piece of footage shows the girl drawing before her papers start to flutter in a strong wind, sufficiently freaking her out so she runs off. When she leaves the room, the footage reveals heavier objects being blown off the table, before the actual table begins to move and become deformed from the strength of the force. 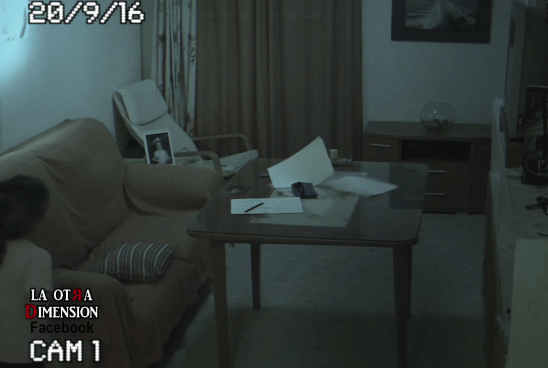 Both pieces of footage are pretty chilling and the ‘possessed’ doll is reminiscent of horror stories like Child’s Play. It’s definitely making me want to install CCTV everywhere now.